Description First issued in 1946 at 8d. 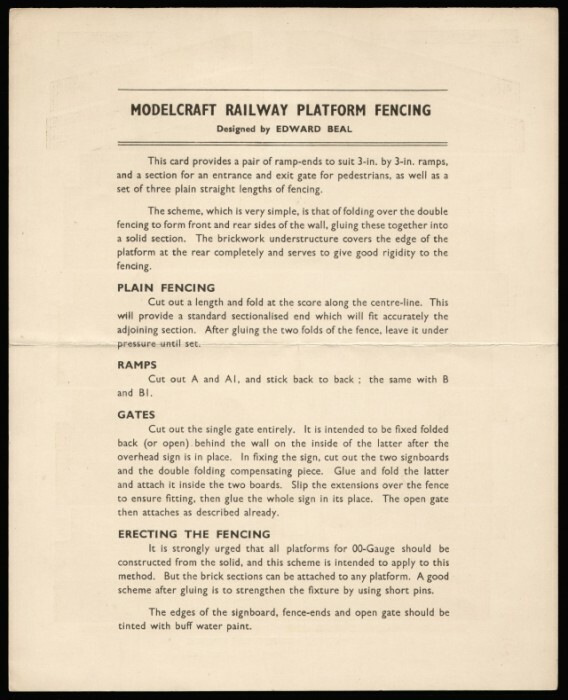 The Platform Fencing was advertised in 1946 as the first of a series of lineside feature sheets. Still in the catalogue during the mid-1950s at 1/0½d. The 1955 catalogue does not list any additions to the proposed 1946 series. 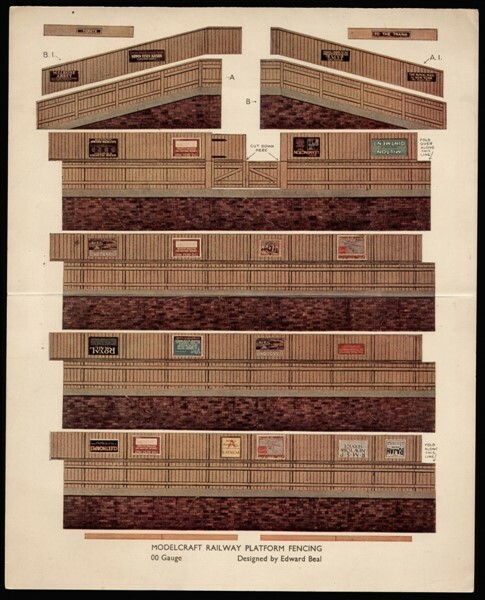 This model has four straight sections of platform and fencing together with two end ramps. The model was designed by Edward Beal.